Home » Blog » MyBookProgress 1.0 is Here! I have a confession to make. Most author websites irritate me. I read a lot of books and the primary reason I visit an author’s website is to check on the progress of their current Work In Progress. Not a single author website (other than Brandon Sanderson’s) had a progress bar showing the WIP status. Unlike most readers, I happen to own a technology company that builds plugins for authors. So far every plugin we have made has come into existence because authors asked for it. Now we are making a plugin to make avid readers, like me, happy. So how do we get authors to add a plugin to their website to make their readers happy? We make the plugin free. That’s how. MyBookProgress is finally out of Beta and ready for prime time. Show Progress – Add a simple progress bar to your website. Gain Subscribers – Grow your email list with readers impatient to buy your next book as soon as it comes out. Hit Deadlines – MyBookProgress breaks down your deadlines into manageable daily goals to keep you on track. Add the free version of MyBookProgress to your website. Setup your book and update your progress. 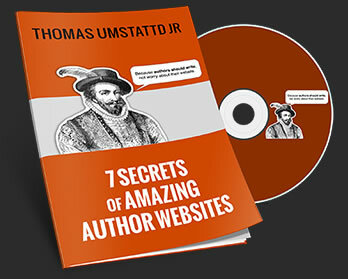 During launch week, we will be retweeting your links to @AuthorMedia‘s 7,000+ followers. Hiring developers and designers is not cheap. So to fund the free plugin we have made a Pro upgrade that comes with all the power of the free version, plus over a dozen style packs so that your progress bar can be as unique as your writing.